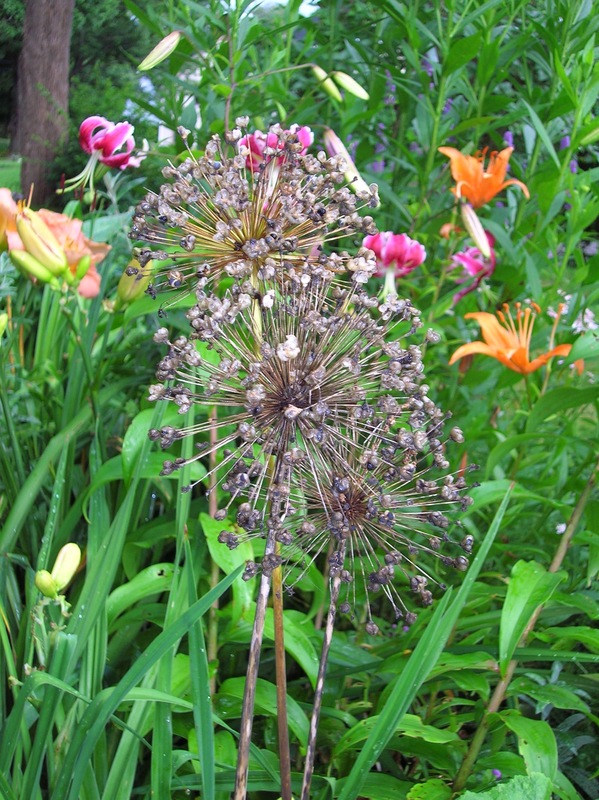 As you select and plant spring-flowering bulbs, consider alliums. Not only do they present great long-lasting, late-season color and texture in their globe-like blooms, but they return season after season and once the blooms fade and the heads dry, the seed heads remain in the sunny garden all summer long for a touch of contrast. 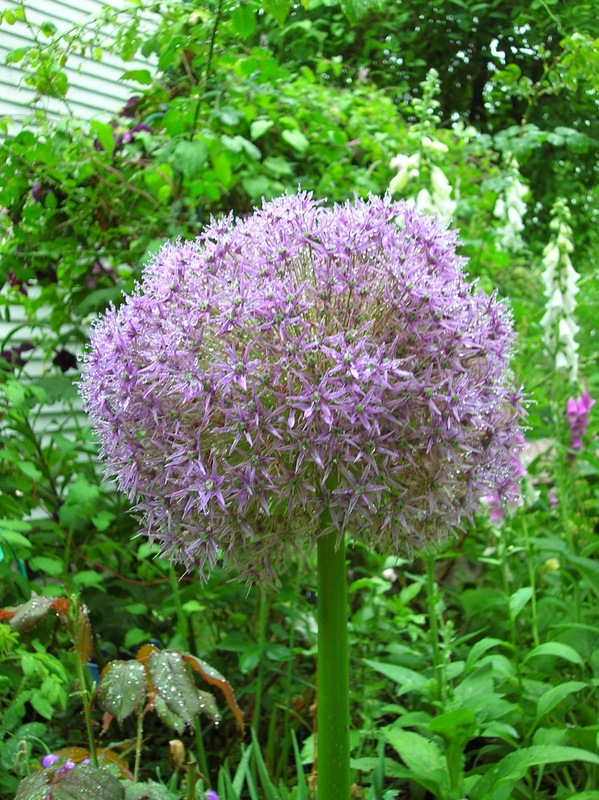 There are several allium varieties from huge to diminutive and bloom colors from white to deep purples. But this morning as the chilly winds begin to blow out of the north, I discovered yet another good reason to plant these bulbs. Out in the garden a gang of goldfinches perched on the sturdy dry stems gracefully feasting on the little seeds that form at the outer ends of the dried blooms.